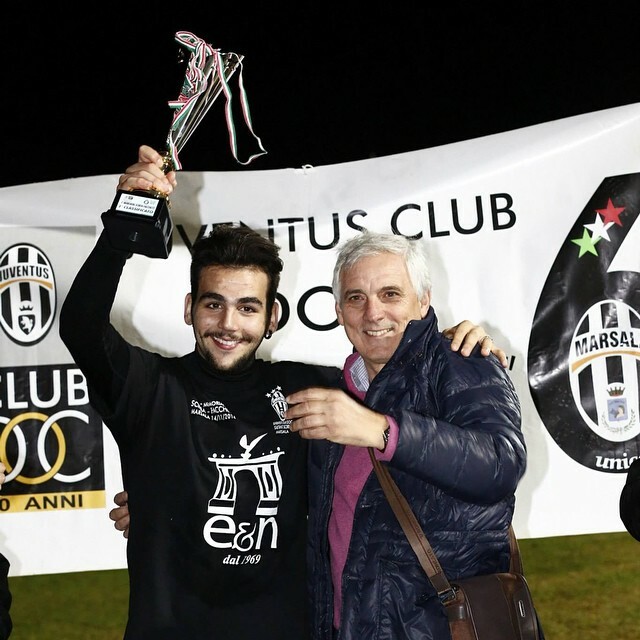 We all know and love that Ignazio, Piero, and Gianluca love to take opportunities to help others and give back, and on Friday, Ignazio took another one, participating in a charity soccer match to promote cancer research. 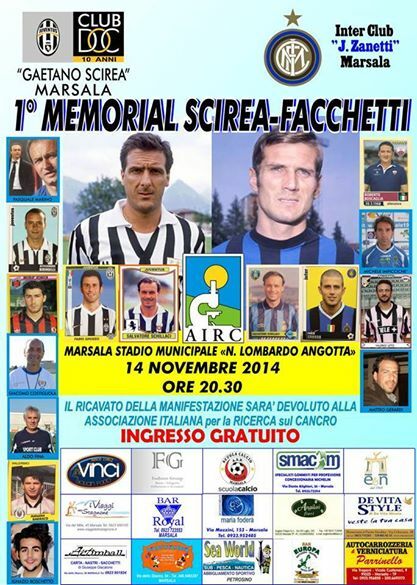 “Friday, November 14th, there was the 1st memorial “Scirea-Facchetti” Municipal Stadium “Lombardo Angotta” Marsala. The meeting was organized by the Club Juventus and Inter Club of Marsala. Took to the field: Toto Schillaci, the bombar of magical nights of Italy 90; Nicholas Sciacca, flag of Foggia Zeman; Bush coach Roberto Trapani, Ignazio Boschetto of the trio “Il Volo”, Nino Barraco, Valerio Leto, Aldo Fina, James Costigliola, Matthew Gerardi, Michael Impiccichè, and many other Sports Club Marsala in 1912. Speakers Live Phone: Fabio Grosso and Mariella Scirea; both very pleased with the initiative carried out by the club this evening that had the common denominator of charity. In fact, the entire proceeds from the event were donated to AIRC (Italian Association for Cancer Research). LiJoy tells me that not only did Ignazio’s team win the match, Ignazio himself delivered the winning goal! Congratulations, Ignazio, and way to support such a worthy cause! Needs no introduction or explanation. From Marostica, thanks to Francesco Boschetto Facebook & LiJoy, enjoy! I think we all loved the concerts we were able to attend this year, and to get us through the lean time of Il Volo’s off season and while we’re waiting patiently (or something less polite… 😉 ) for new music to be released, I am trying to recreate the North American tour. Now, I know that sometimes the set list differed from one city to the next, and some of the cute stuff in between might have been different from night to night as well. Could you help me with this? 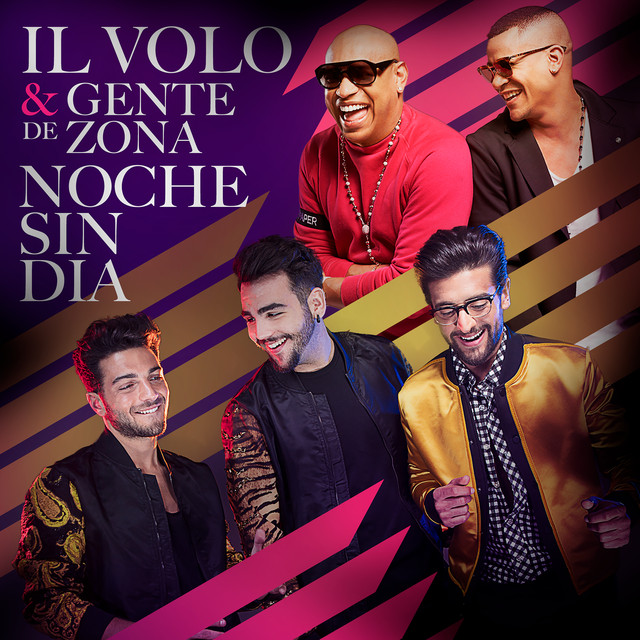 If you have a set list from the concert in your city that I could use for research or a cute video of banter/antics between The Guys at your show that you would like included in an upcoming post, please send it to us via e-mail at ilvoloflightcrw@outlook.com. I can’t believe I’m watching the il Volo Christmas show on PBS now. So beautiful. i’ll have to call the station to see when it will be aired again for members in the Chicago area. So glad to hear that they are airing it somewhere. They didn’t show it in the twin cities last year, which I found unacceptable….too bad they didn’t ask me. Maybe there is a chance they will do it this year. Thanks for the heads up. Mary, I’m sure they will. It’s so beautiful. They look so much younger. If people call the station and request it, that helps. You can call and ask if it will be on and they will tell you when. It will be on again here at Lakeshore PBS at 10:30 pm. it raises your spirit. You can’t get enough of that smile. Thanks Kelly. How cute is my Boy in knee socks? Keep voting! We are almost at 2 million 400 thousand. Ineke says They deserve at least a million votes each. I agree. Also, next Sunday is the American Music Awards. I need to know whose fault it is our Guys won’t be there! Marie, I think after the new cd and a few tv appearances, they will be on their way to the awards here. American Music awards seem to have become a Media darlings popularity contest, as in, what will score the television channel and magazines the most pictures and ratings. 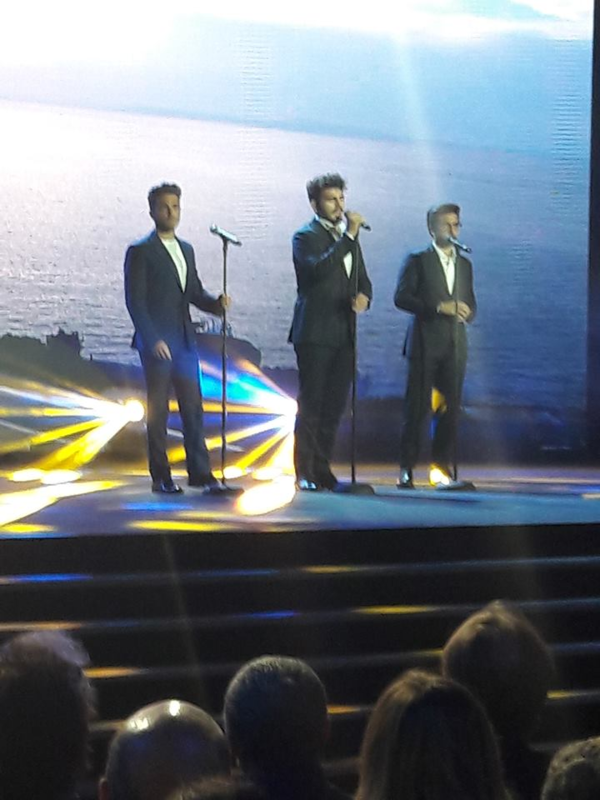 I’m afraid IL VOLO isn’t on their radar….yet. I take issue with management on this because I believe the guys are working as hard as they can to be amazing entertainers/performers with real class, but they are not bad boys,druggies, women chasers, pimp daddies etc, etc. So we must be patient and hope that this new Sony deal works with management to get them noticed more. I’m only being patient because there is no other alternative. If I thought ranting and raving would work I would certainly give it a try! I have already tried stamping my feet. Nothing happened. I agree so much, Pirate. If they don’t get some exposure here pretty soon they will get lost in the crowd of the ones mentioned above. I thought that their managers would do more to keep them in front of the public. Patience wearing thin, but guess I won’t bother to stamp my feet–it doesn’t seem to work for Marie. Somethings going on with this voting because when I click 10 or 20 at a time it does not register the amount that I clicked my count is reduced by half. Can the other side cancel our votes somehow??? Is there a way to find out?? or whoever is the one who controls how much we vote at one time?? I’m not wasting my time if this is a scam now. So what is this about them going to Abu Dhabi. Is this for a concert?? Abu Dhabi? Where did you hear that one Karen??? Their trip to Abu Dhabi has to do with being invited to take part in a big Formula One event taking place there. Kim Kardashian is hosting a big uppidy so so party after the event. No concert has been mentioned. Check All Things Il Volo. Loretta, we can’t control the contest, all we, as devoted fans can do is have faith that our votes show that we will continue to support, no matter. Don’t give up! Buon Natalie is being broadcast on PBS ,here in South Florida ,multiple times until Christmas and although I have the DVD I am also going to record it on my DVR. Wow — they certainly have matured tremendously in 11/2 years and get more and more handsome every day !! I hope our loves come back to America soon. They’ve been away from us far too long. They need much more exposure here like they had last year !! I will continue to VOTE everyday until Dec 5th because they are the very best and deserve this award and because we love them ! !